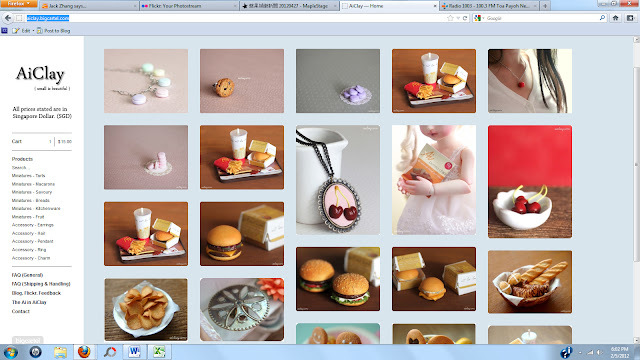 AiClay - a Haven of Miniature Food: How I lost my voice. 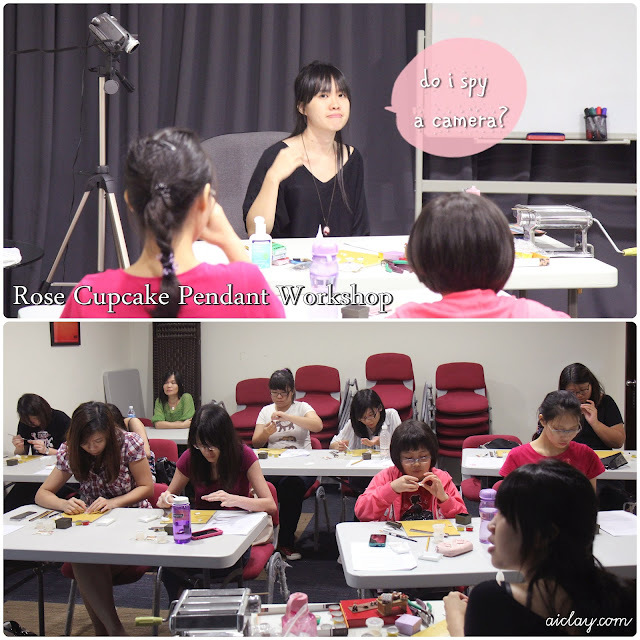 This has got to be a record of the number of days between the actual workshop and me actually blogging about it. A record that I shall not break ahem. The lag is not without reason though, allow me to explain. My throat was feeling all scratchy and weird on the morning of the workshop. So that was the first alarm bell ringing off and I had to continually gulp water down during the workshop. I don't know why my face was like that too. After the workshop, my parents (who tagged along as helpers for this workshop for the first time yay!) decided that we should join the rest of my family for dinner, and guess where we went. A charcoal barbeque and steamboat buffet! My incredibly uncomfortable throat closed up a bit in horror upon hearing that haha. So I ended up paying $30 for a meal which consisted only of cooked leafy vegetables and mushrooms in the steamboat soup. I felt so sad for myself. But the strict vegetarian, no-bbq diet did not pay off, as I still got a horrid sore throat at the end of the day. Probably from breathing in the bbq smoke. And then I had no voice the day after the workshop! I'm counting my blessings that the throat infection happened only after the workshop, and not before. Imagine me speaking in a scratchy manly voice for three hours. Yikes. 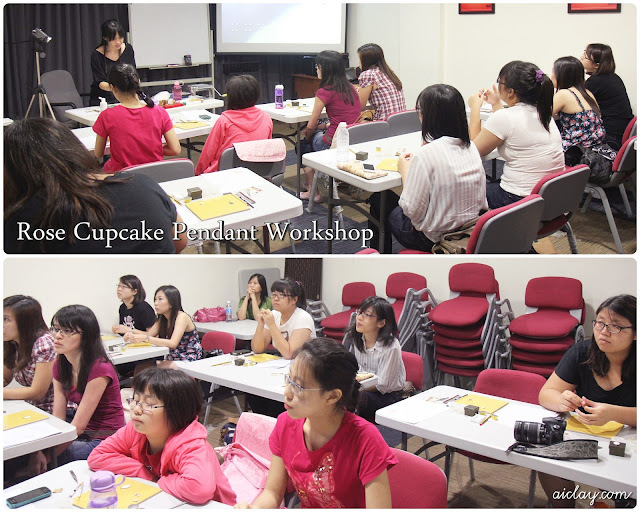 Some of the ladies at the workshop. And that is the story of how I lost my voice. Also, my parents were helping out at the workshop as JY wasn't free, so it was a first for them to see me conducting a workshop! Try to spot my mom, she's seated at the back in the photos haha. Thankfully, I didn't have jitters this time, except for not remembering the word 'consistent' and having to use 'so we'll try to mix until we get a homogeneous mixture' instead hahah. Like a chemistry lesson hur. I usually hand out feedback forms at the end of workshops, and I shall type the feedback out one day! One of the ladies there, Joan, suggested that we could play some light music during the workshop. And you know what, I'm totally taking that up, thanks Joan! Guess I'll be shopping around for some music hmm. Lastly, let me introduce you to my new shop! Isn't it looking all spanking and clean! -beams proudly though it was just very simple html coding. Now visit the shop please, and let me know if there are any glitches in the system.